A squished chignon! Sorry clear hair cone, I have a new favorite now. Wore it straight away all afternoon and it stayed put so well! This is certainly not the last time you'll see it featured on Love Aesthetics! 01/ Measure the perspex to the size of your usual chignon. 02/ Make an incision along a ruler with a stanley knife on the perspex and break it off by putting it on the edge of a table and pressing down the part you want to break off. Keep breaking until you've got a rectangle in the size you want. 03/ Also break off the end of the 'lemon crusher' (is that what they are called?) and smooth out the edge with a file. 04/ Preheat the oven to 200°C then place your square and your lemon crusher on a non-stick baking tray inside the oven for 5 minutes. There will hardly be any fumes or smells, but you'll never know so make sure to keep a window open. 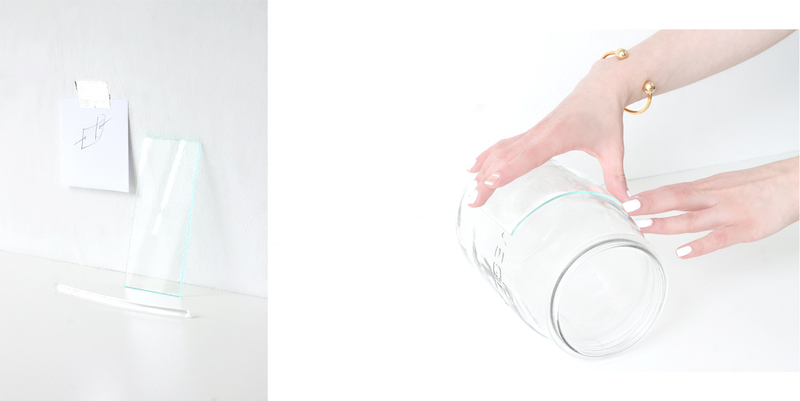 05/ Take both pieces out and bend them over a round object like a vase, the clear stick only needs to be bended slightly. 06/ Carefully drill two holes on each side of your bended plastic, do it slowly so you won't get cracks in the perspex. That's such a great idea, and it is so beautiful! Ingenious! It is something I never would have conceived of. You have invented a lovely and very practical D.I.Y. 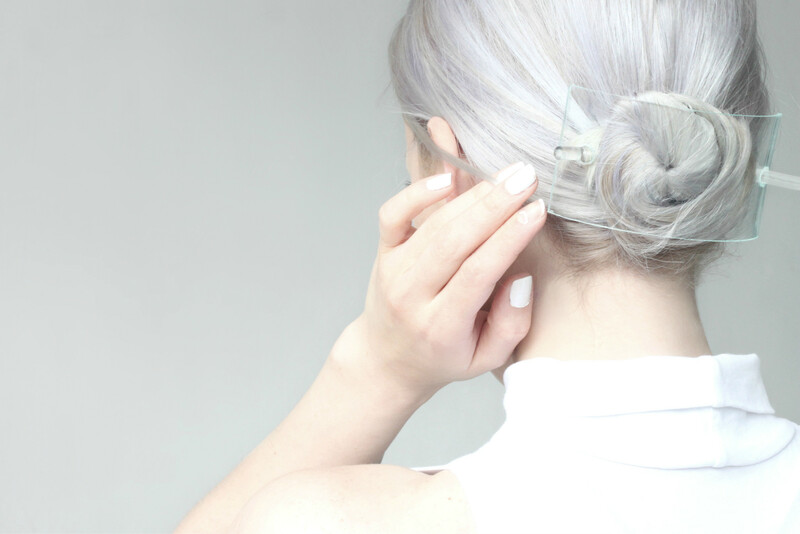 hair accessory. I love the look of your hair. That is brilliant!!! I want it!! So simple and so smart, big fan of this one! Very simple and aesthetic! If I had longer hair I would definitely make one. so nice! Love your DIY!! AMAZING. That hair colour.. equally amazing!! The "lemon-crusher" is called a swizzle stick (an equally silly name). This is so cool, it looks awesome! 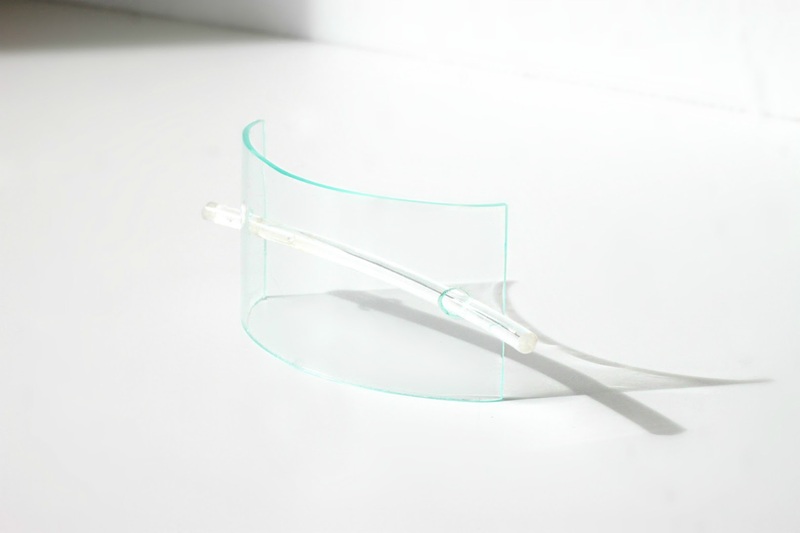 I tend to love all your transparent/perspex DIYs, but this one really takes the cake. It looks so gorgeous and simple, like a real product more than a DIY! Great idea! Love your diy products: you're genial! Simple and stylish! Great diy! Gah what a great idea again! Oh what a great idea! 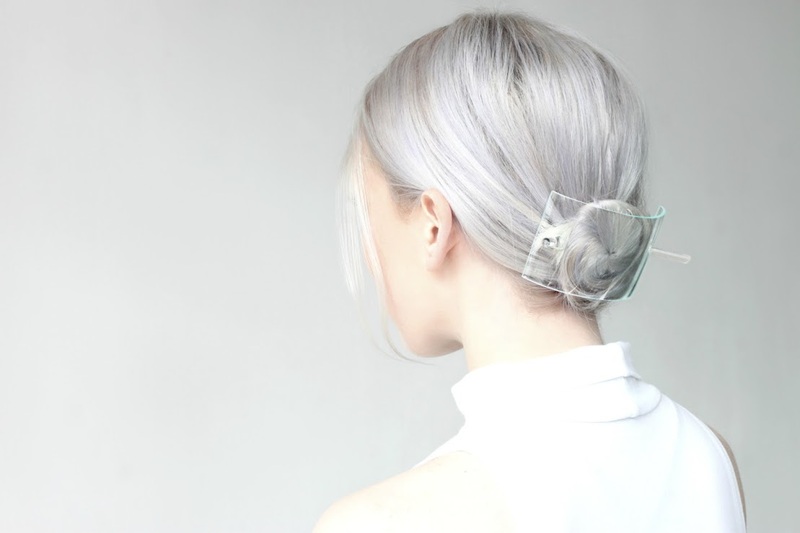 I love clear bags so of course I must love this clear hair piece as well! Oh wow this is such a great idea, so simple to make but looks pretty high end, I always find perspex gives a very modern feel to a lot of outfits, bordering on futuristic, just the introduction of clear hardwear I think. You know what you should do? you should totally sell these! i personally can't get my hands on these sort of materials, and if i did, i wouldnt have the guts to drill or heat it in the oven and all that. would definitely buy all your amazing clear diy projects! It looks awesome! Beautiful photos, btw. I don't think I have the courage to try this, but I'm still hoping that I'll be able to do this. Thanks for sharing. This would be a new experience to me. I like so-so much! I wanna make it too, but it semms too specially :D Awsome again and again! Love it! You are so talented. One in a million. Did it for my girlfriend, she loved that. Thanks for the tips, greetings! It's our country's traditional fashion accessory! My grandmother used to wear it before. I' South Korean kk . I read Low Classic article which is Korean brand from this blog! This a wonderful and simple diy. Everything about these photos is stunning. I love it. Your blog is definitely a favourite. The lemon crusher would be called a swizzle stick. I am going to try this, very pretty, thank you! Did you know you can create short links with AdFly and make $$$$$ from every visit to your shortened urls.